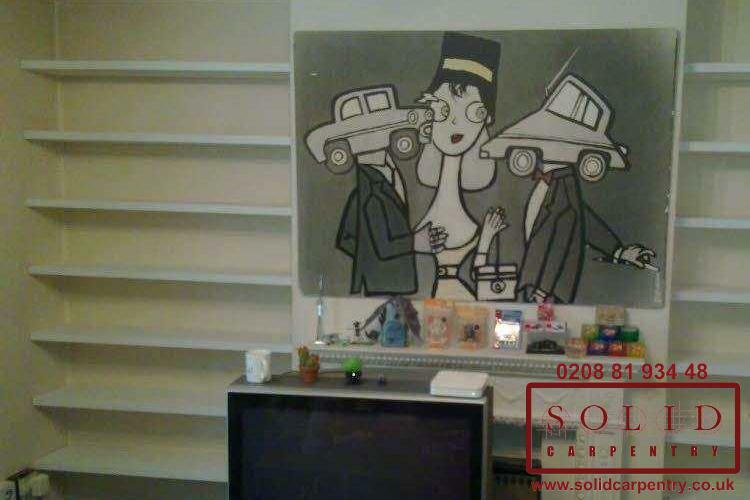 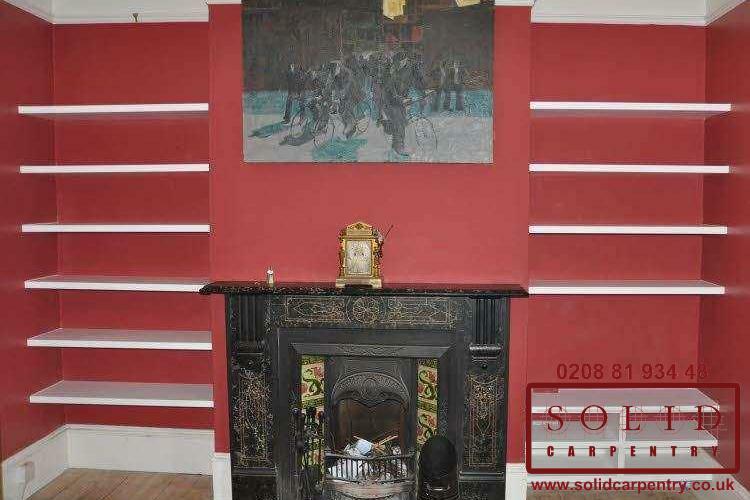 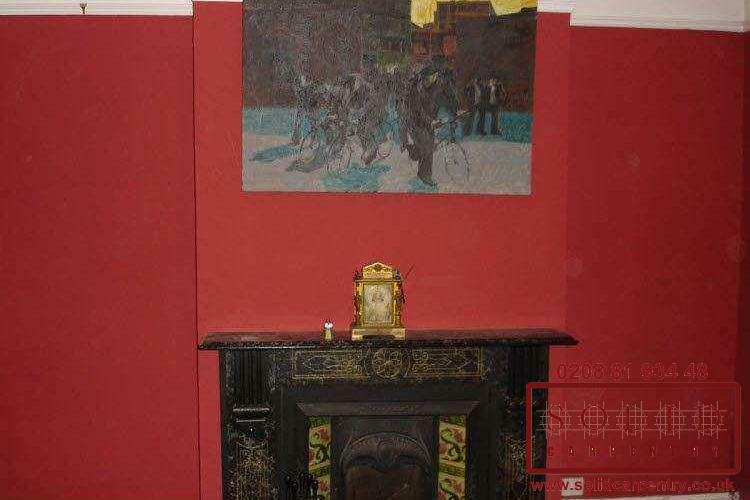 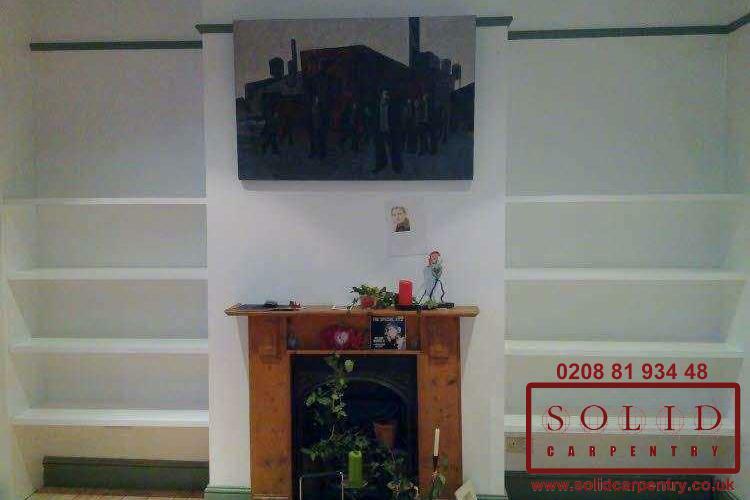 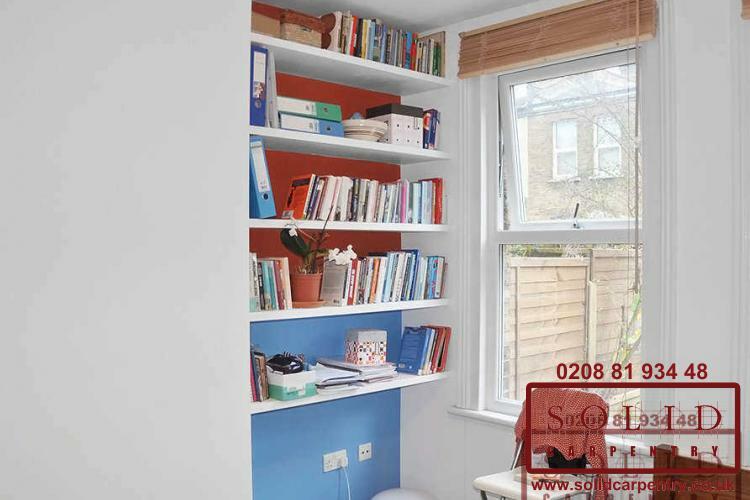 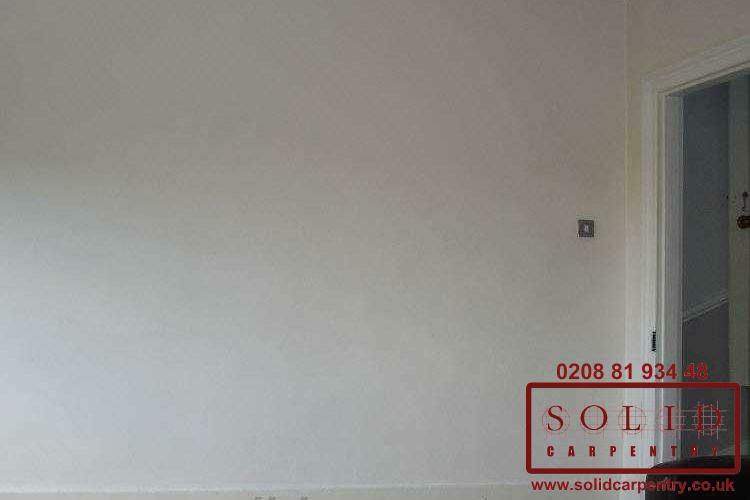 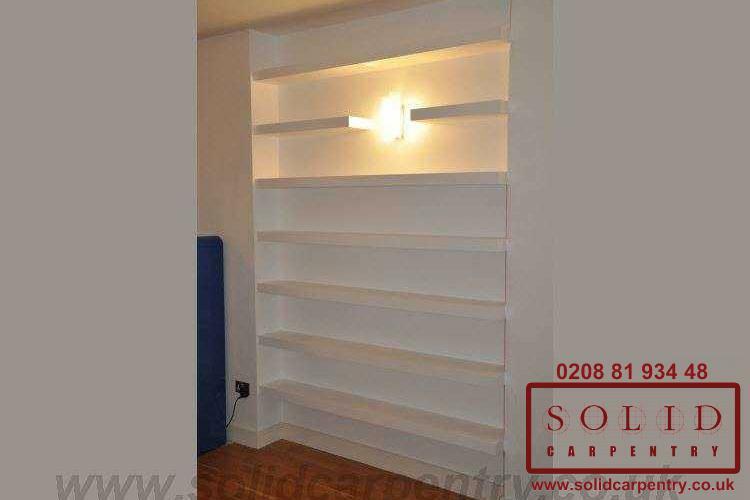 Want to take advantage of a free wall in your living room or maximise on the space an empty alcove or cupboard offers? 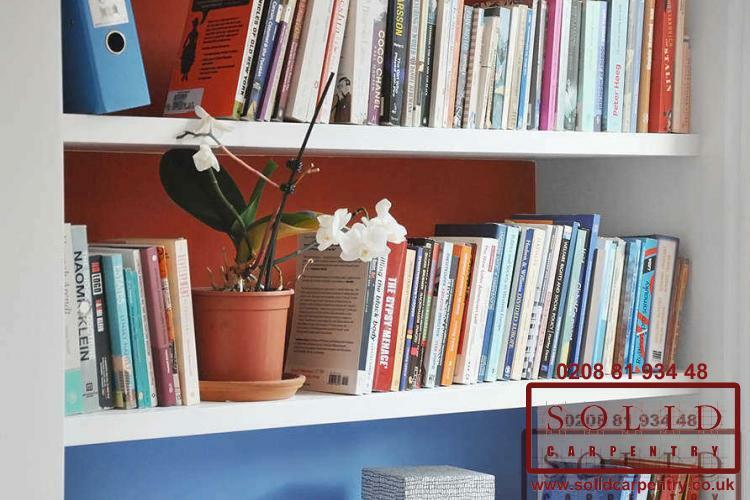 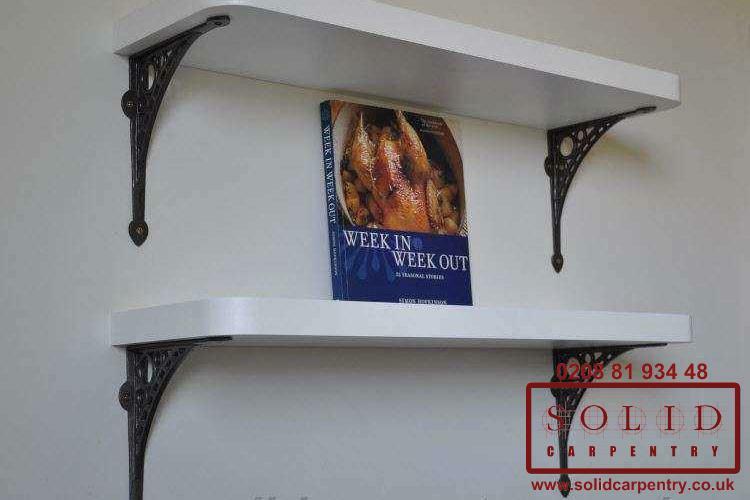 The images at the left illustrate, from start to finish, the process of conceptualising, building, and installing custom-made wooden bookcases and shelves – and how such designs can transform your home or office. 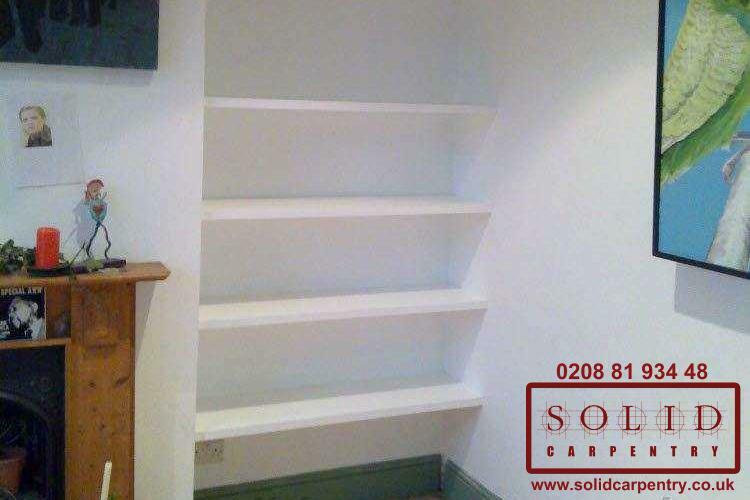 With bespoke shelving you can make the best use of space in your home. 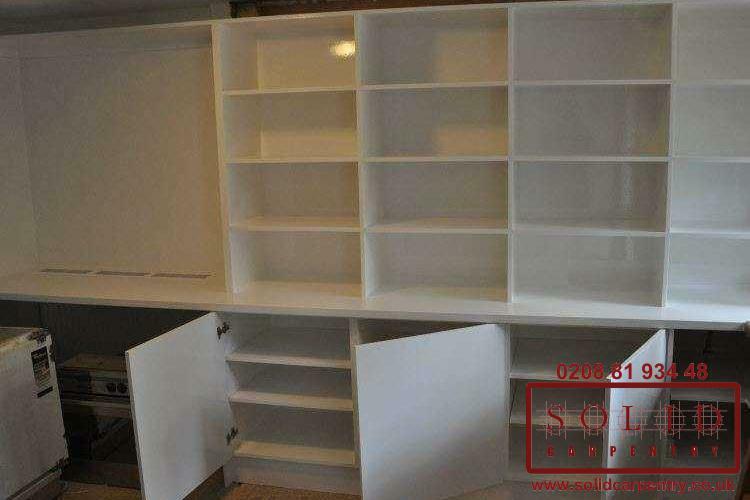 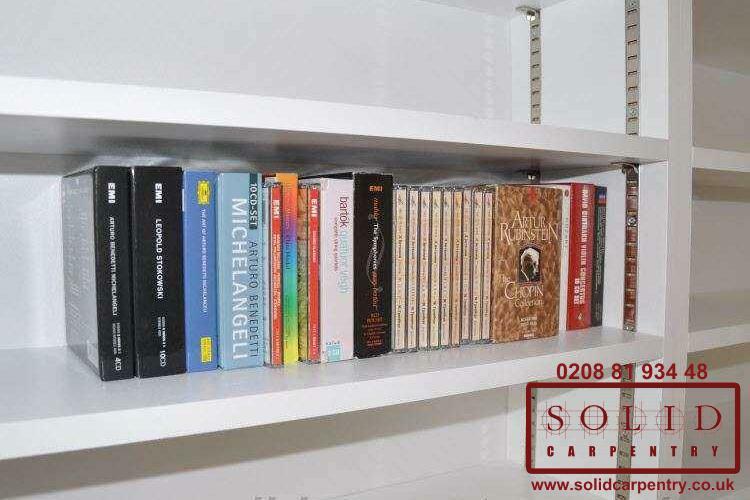 As seen in the gallery, custom-made shelving units and built-in bookcases can be crafted to exact specifications. 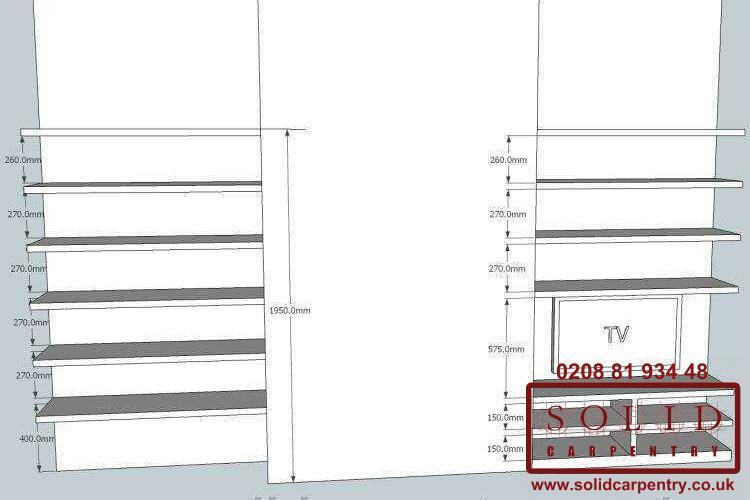 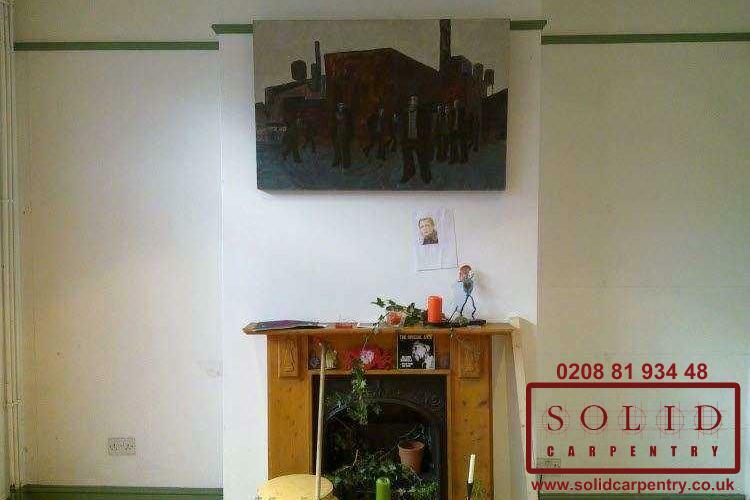 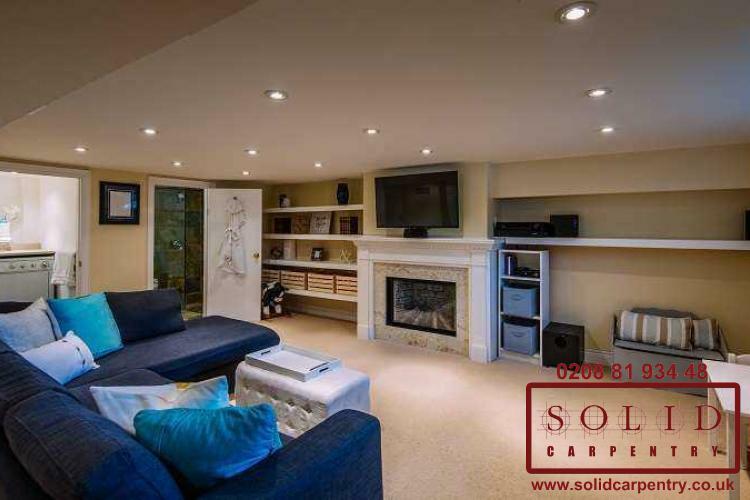 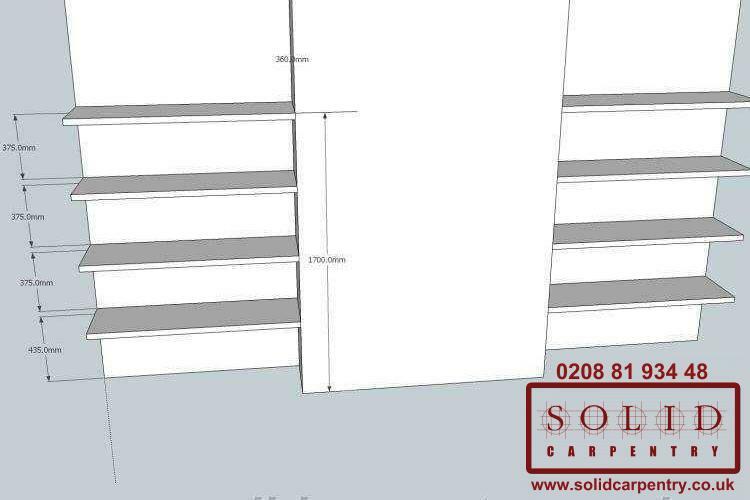 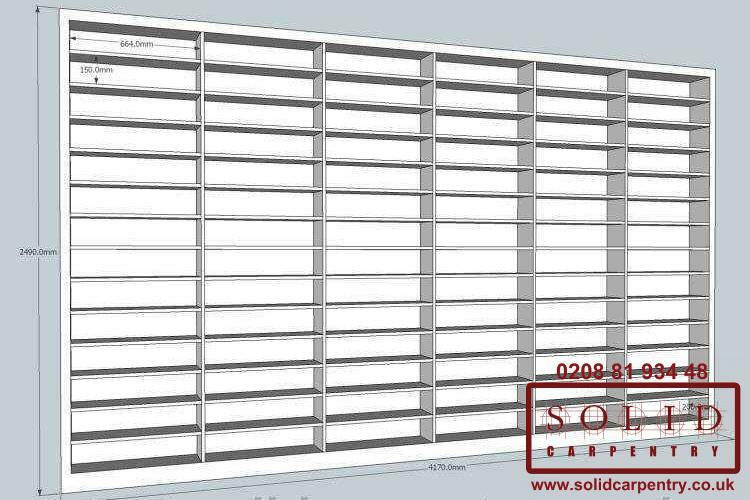 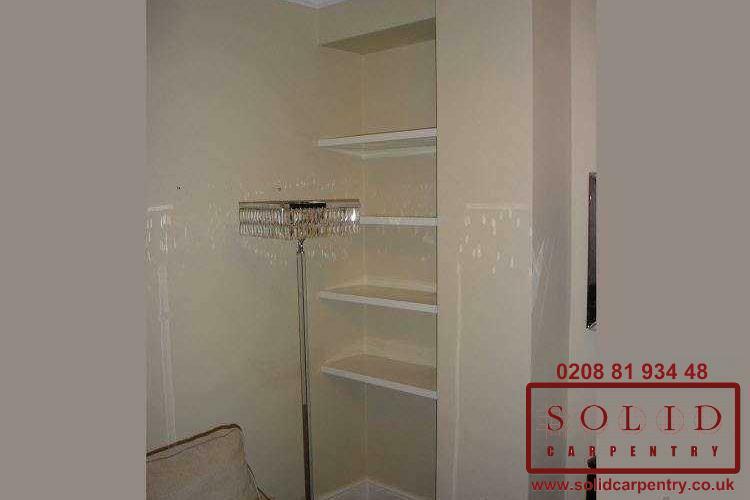 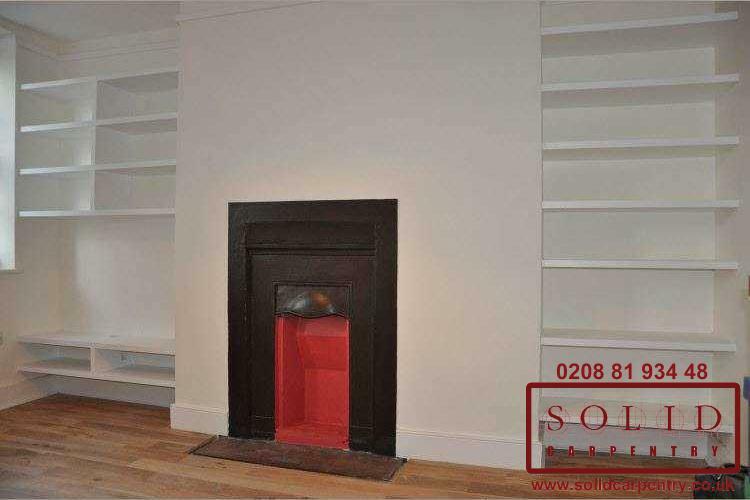 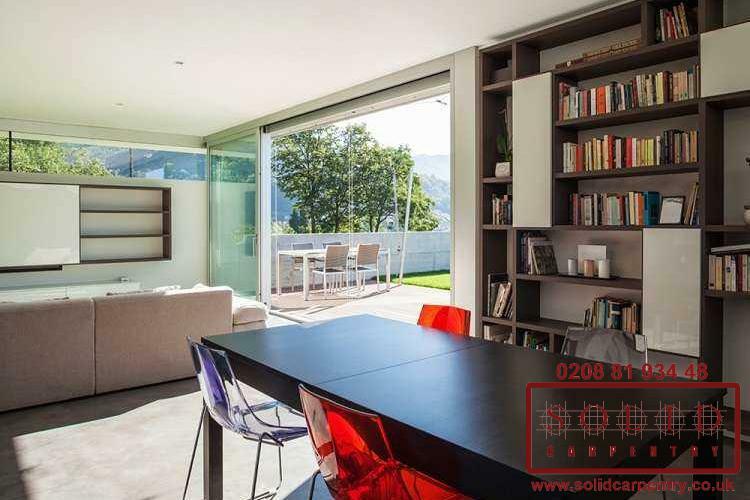 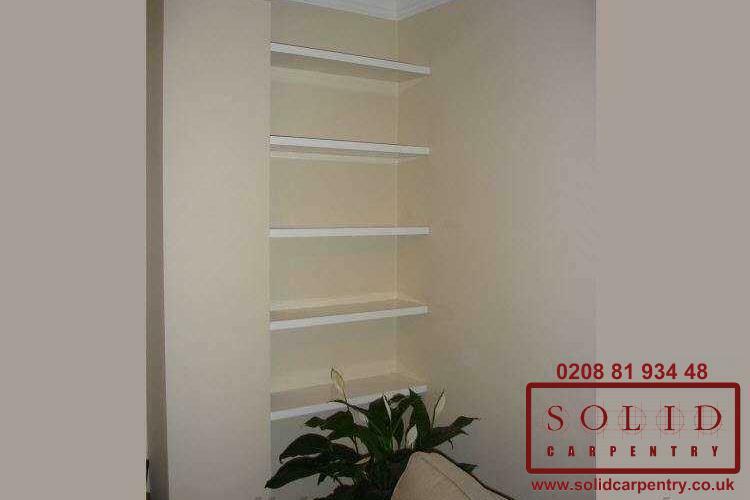 We can craft large scale or smaller units and skilfully fit them into alcoves, to walls, or as part of a freestanding unit. 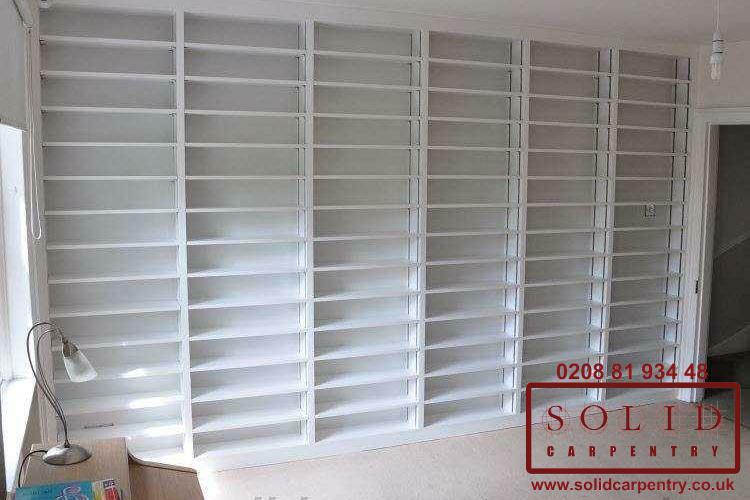 Whatever your chosen design, you can rest assured your bespoke shelving unit will provide you with valuable storage space and give your home or office space a sleek, refined, and fresh appearance. 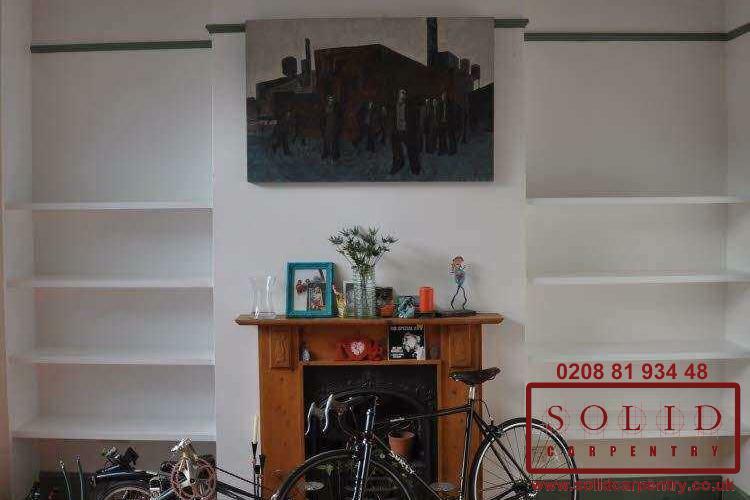 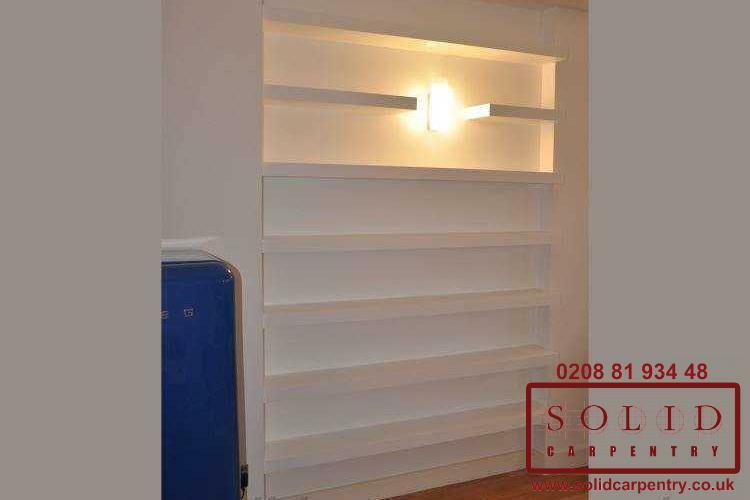 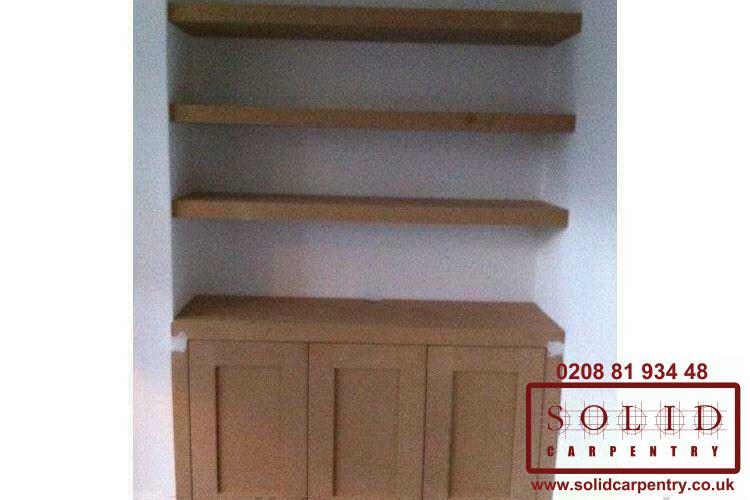 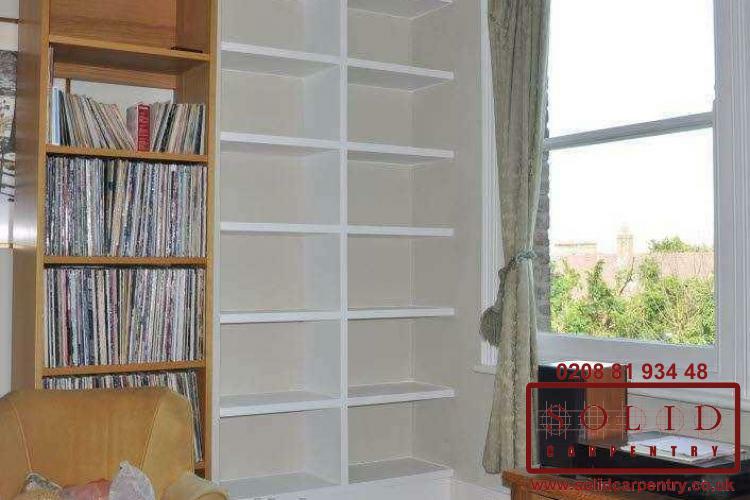 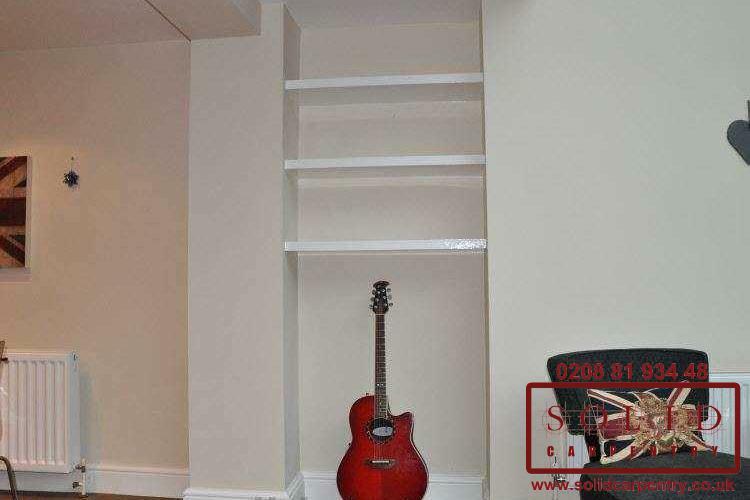 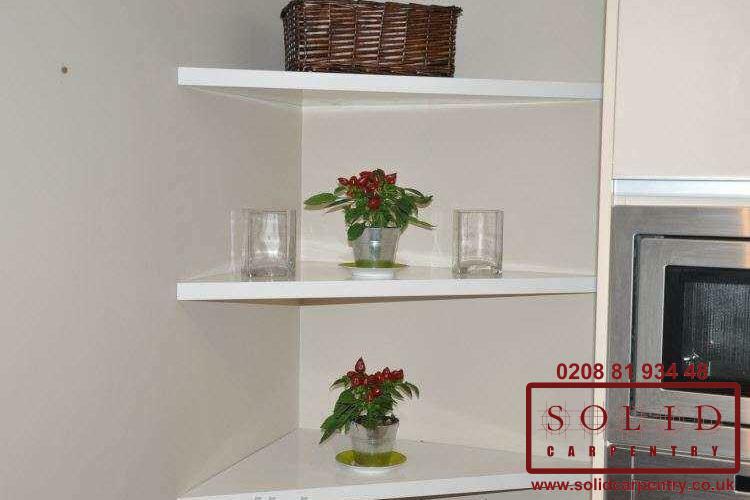 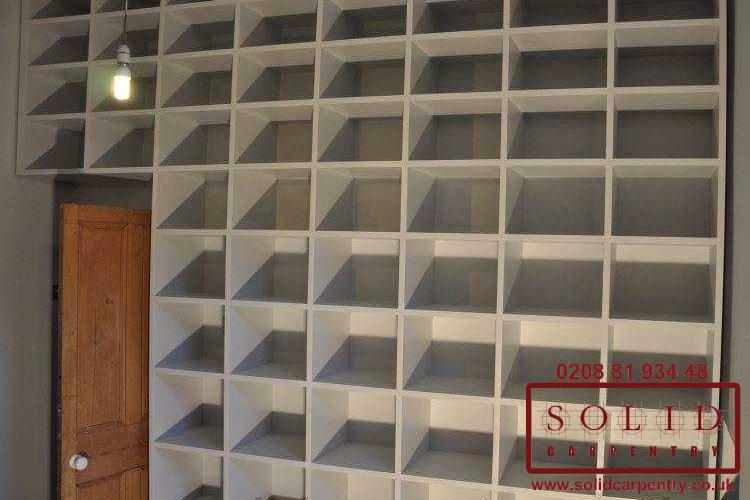 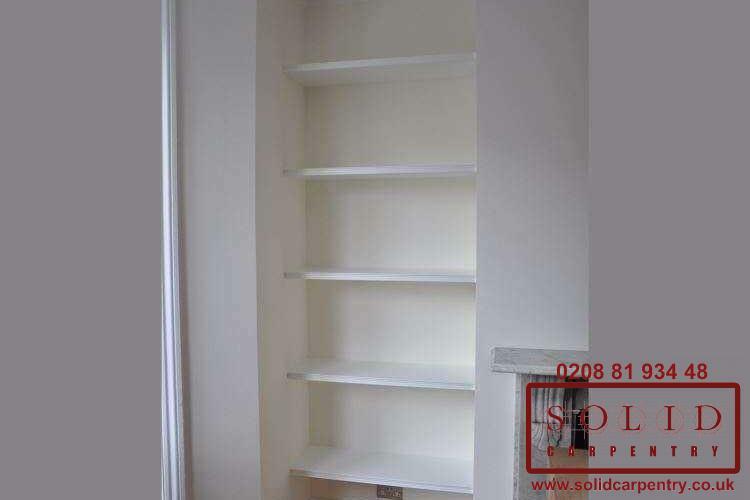 Bespoke shelving is exceptionally versatile and can be incorporated into any room of your home. 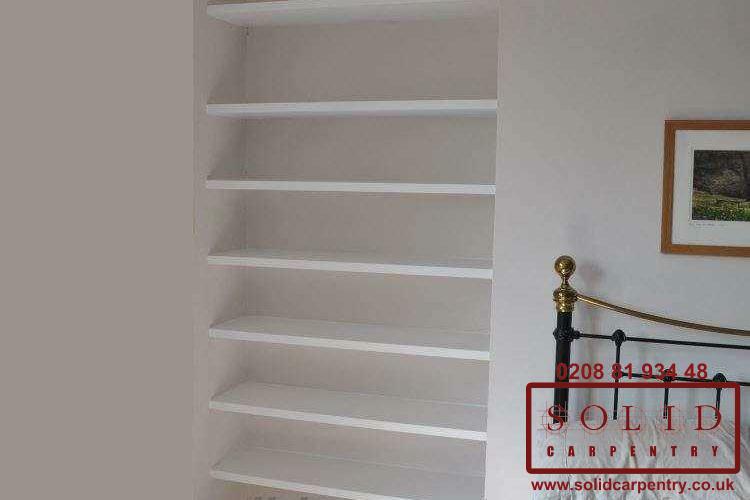 Whether it’s a family room, children’s play room, home office or bedroom, bespoke wooden shelves can help free your rooms of clutter and help create a neater, more organised appearance. 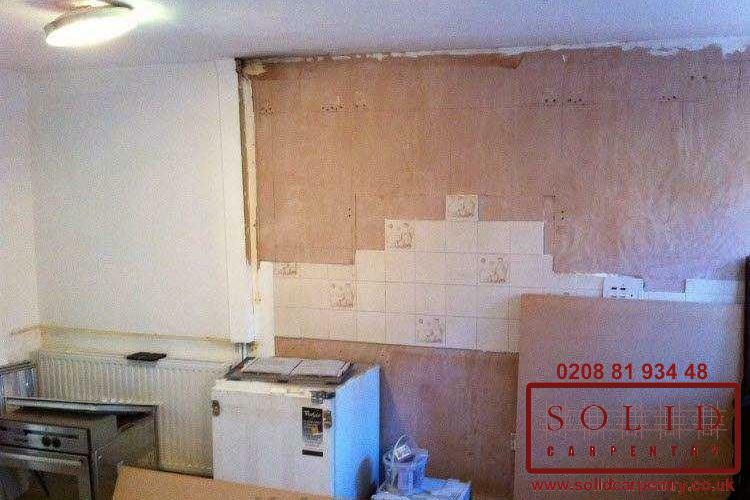 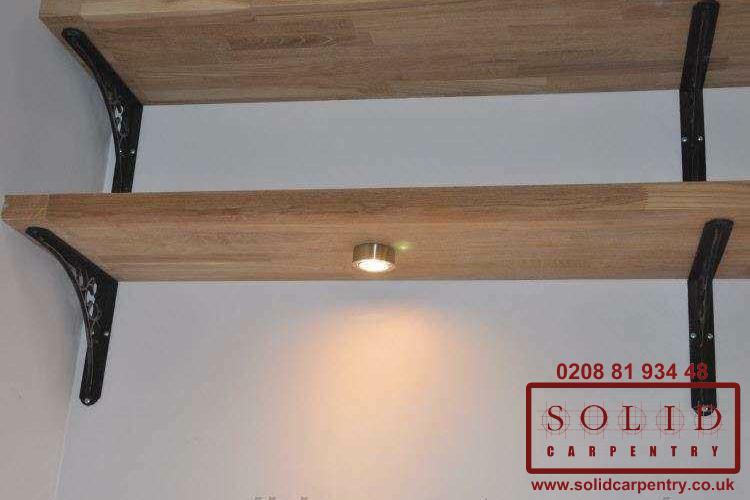 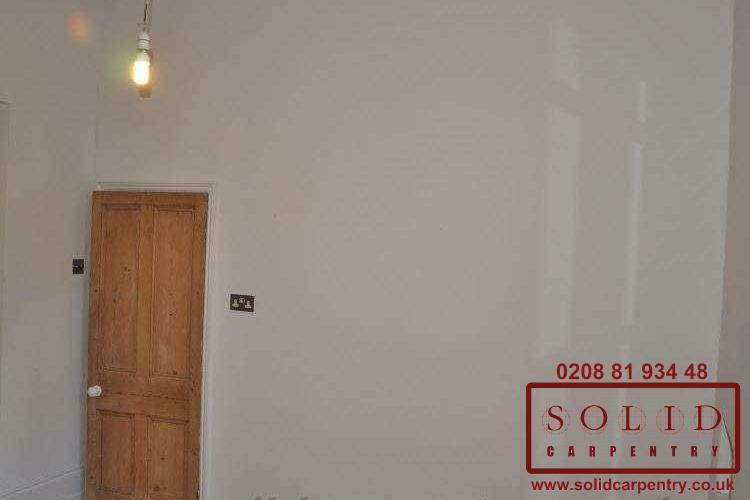 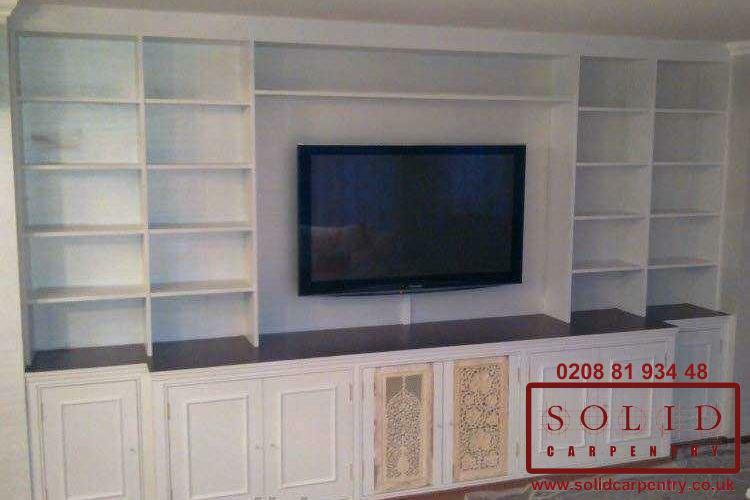 As a Solid Carpentry customer, you will benefit from more than 15 years’ carpentry experience. 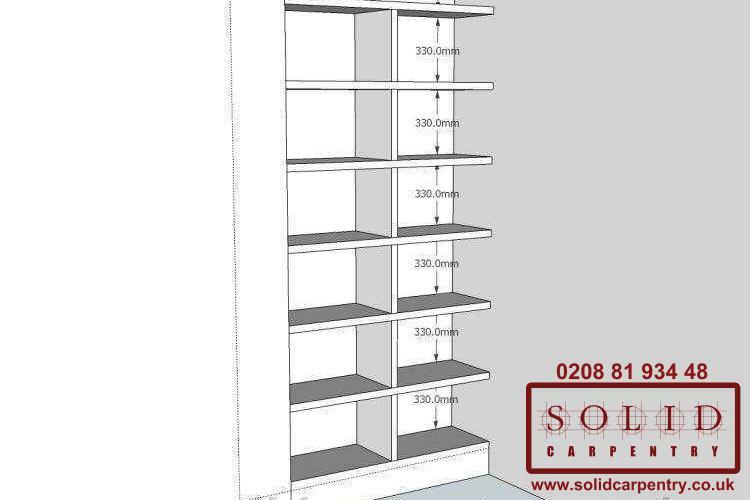 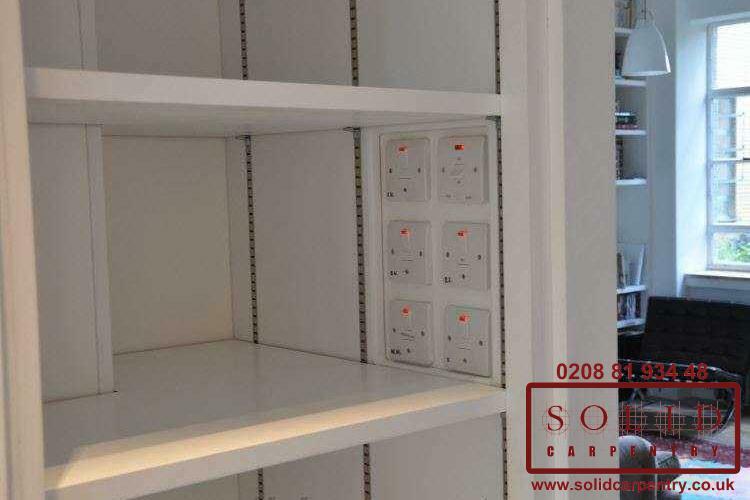 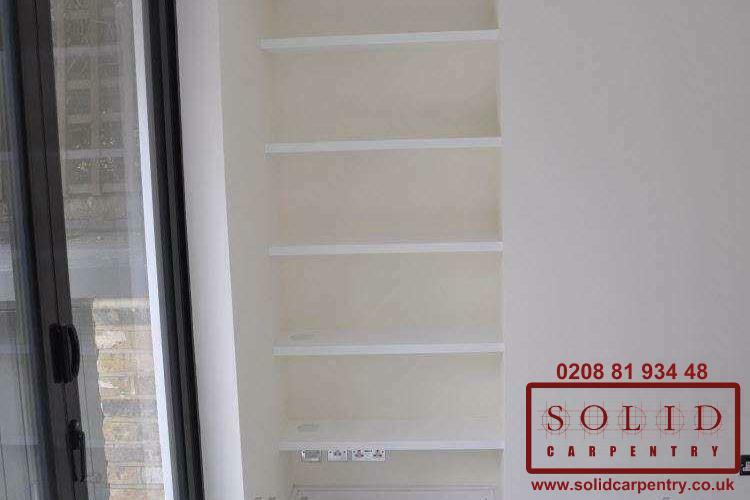 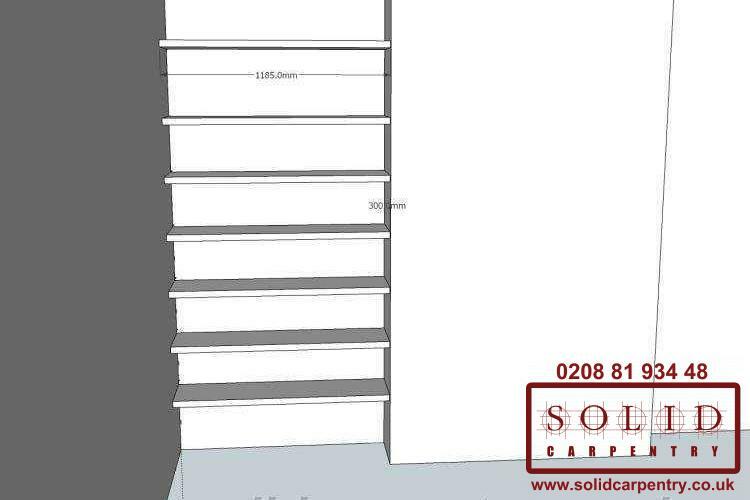 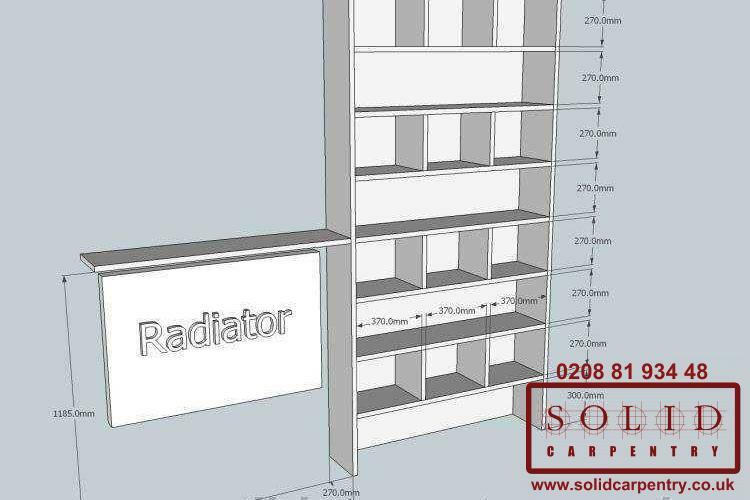 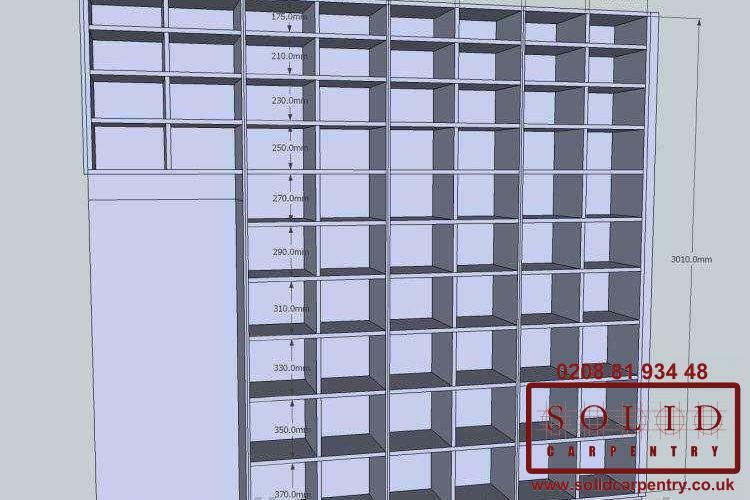 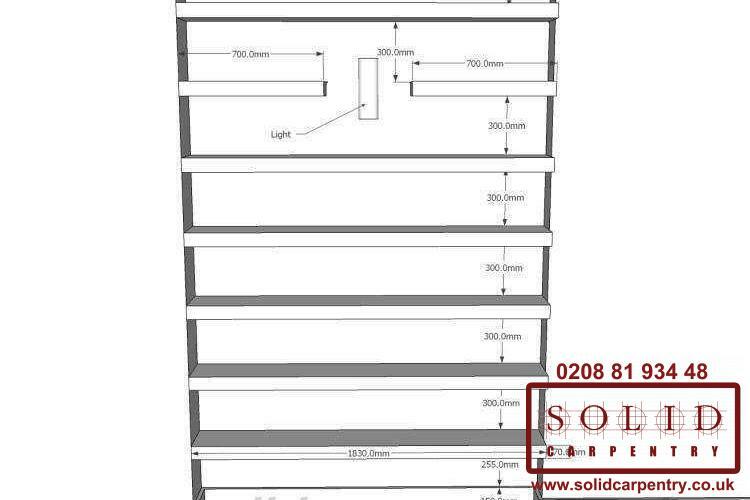 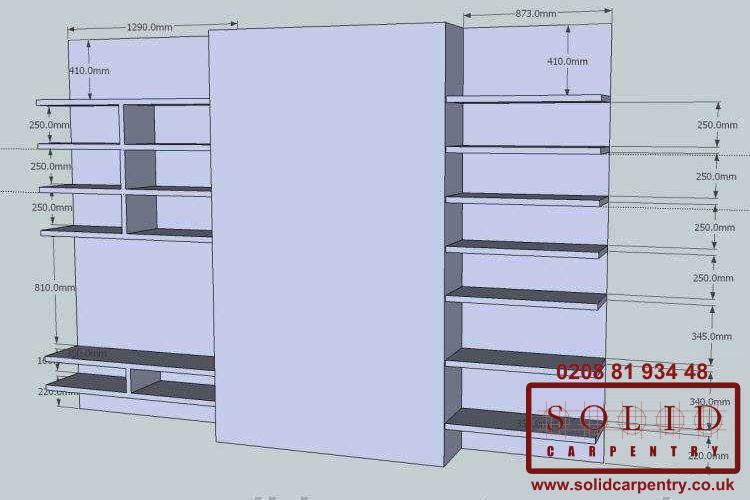 We can help you design the optimum shelving unit and our highly skilled craftsmen will advise on your choice of materials and finish so that your bespoke shelving is long-lasting and truly complements your living or working space. 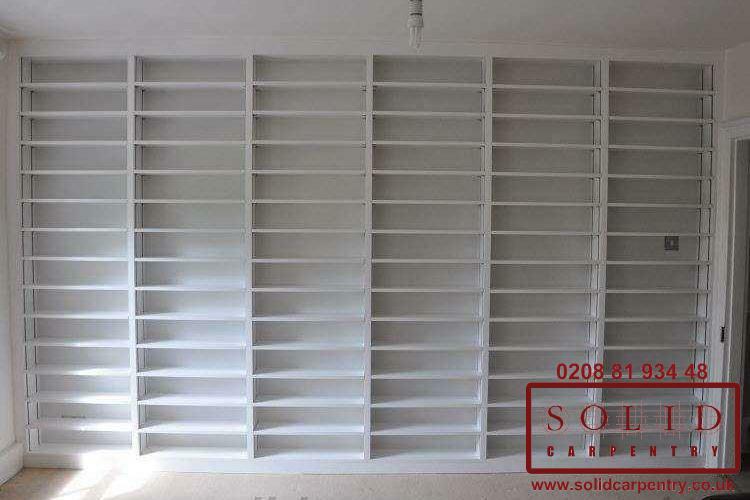 Made in our London workshops, our bookcases and shelving units are hand crafted to the finest detail and we will then install them into your room. 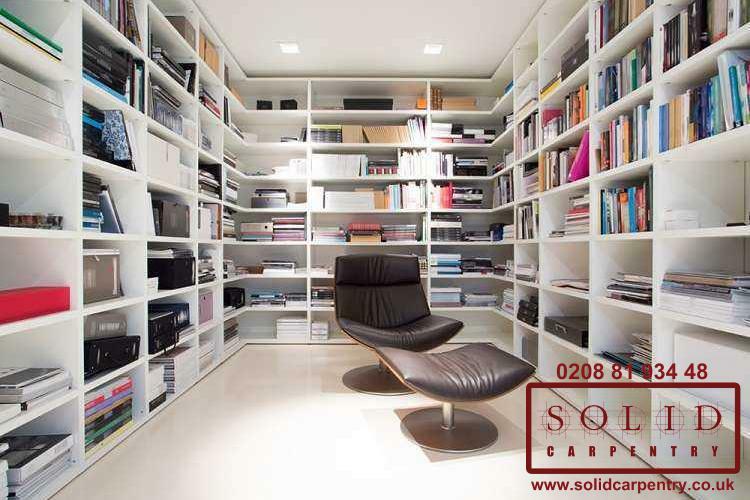 Whatever your requirements, we will work with you to produce a final product that adds value and style to any space. 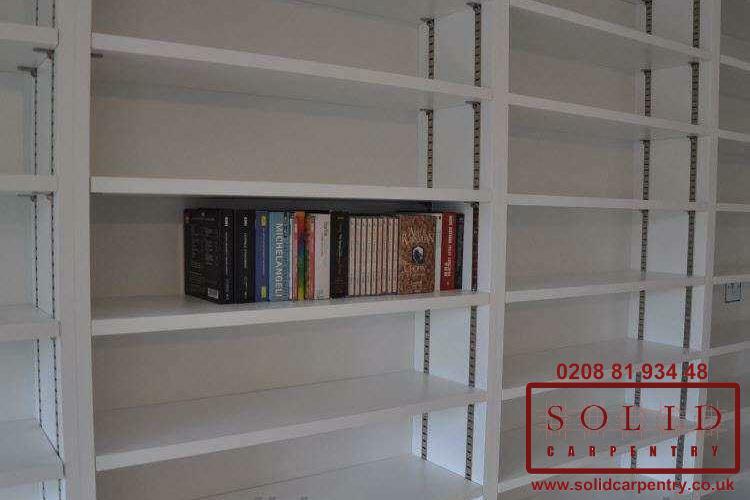 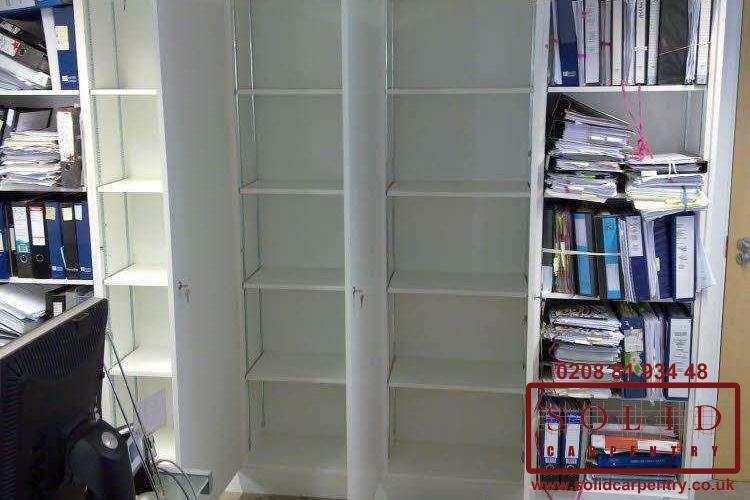 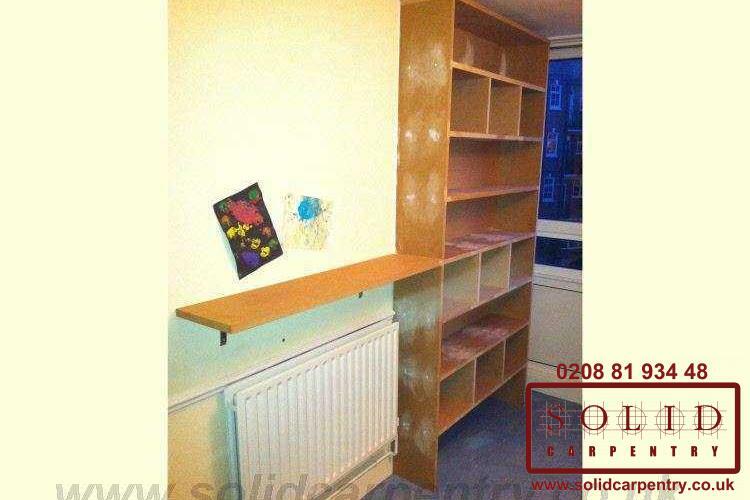 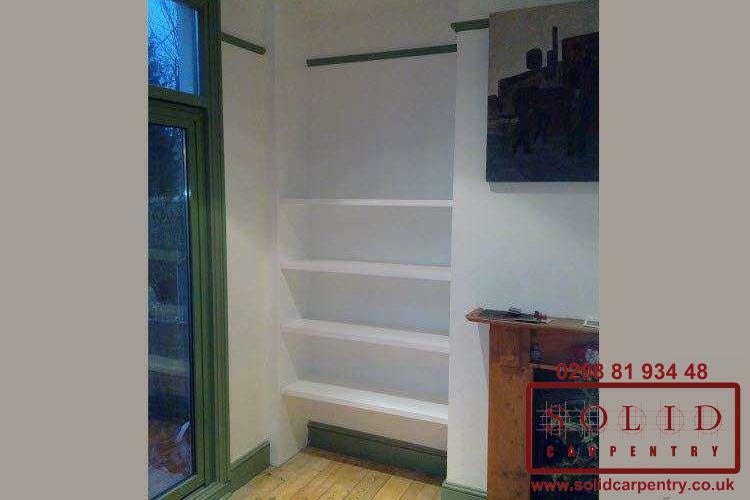 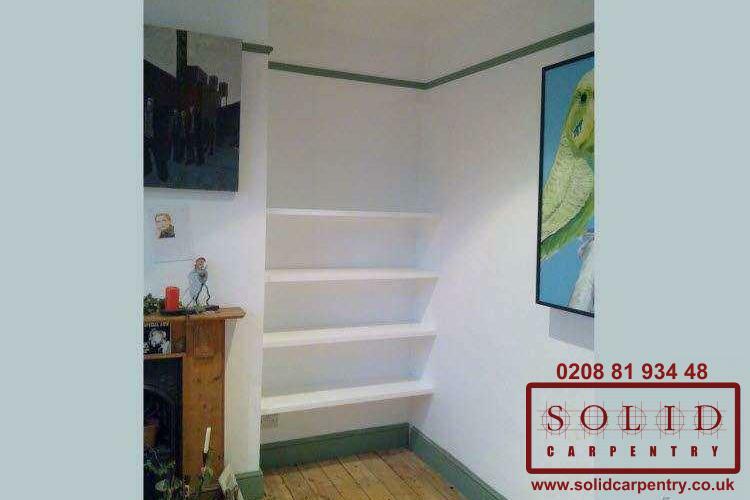 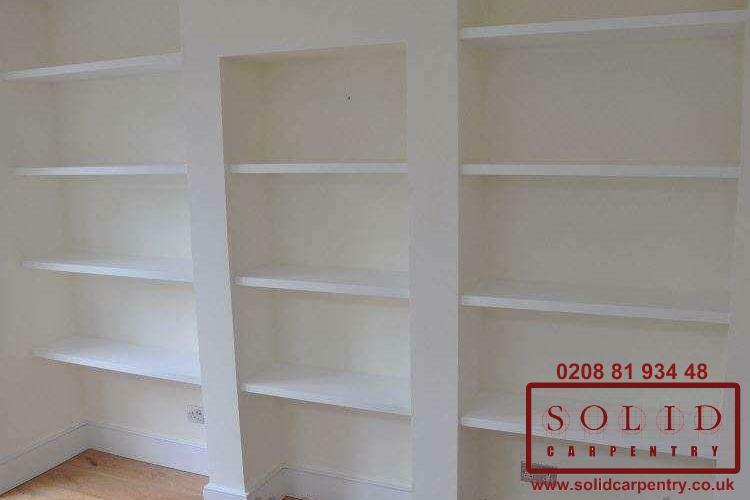 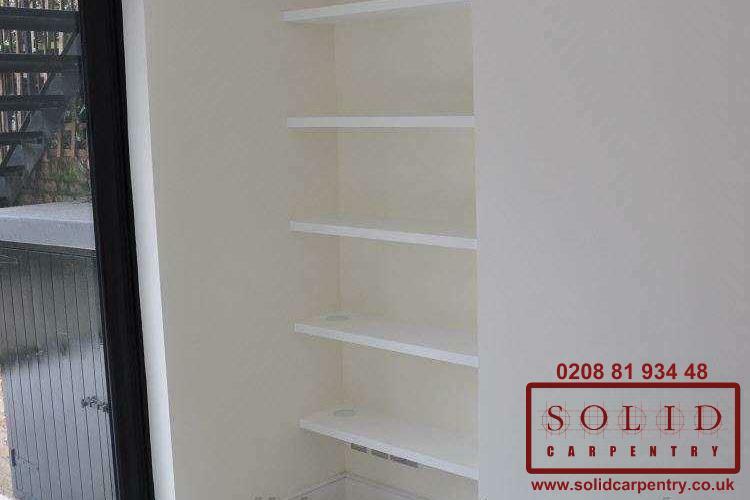 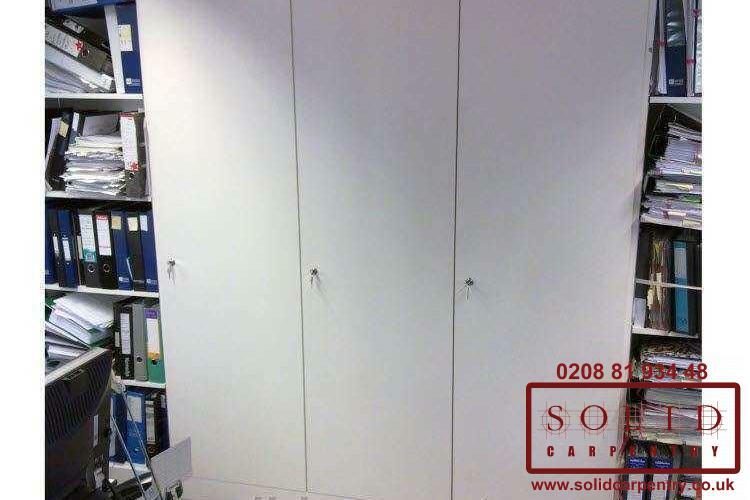 To find out more how our professional carpenters can fit bespoke shelving into your property, contact us today for a free, no-obligation quote.